Are funded companies different to bootstrapped companies? All startups have a different approach to market. Sean has had different experiences with the various companies he has run. Sean’s first company was Uproar.com, based in Budapest, Hungary. Uproar was an online games company. Sean’s lack of marketing background was an advantage for an internet based company early on (1996). Created logmein because founder already had experienced the need for this product in a different business model. However, by the time they got to market, they could not compete with well funded, high traction GotoMyPC, so changed to a freemium model to disrupt and differentiate against them. Logmein is now a $billion business listed on NASDAQ. Harvest demand, use SEO to draw customers in. Understand customers, could find extra use cases for your product (new markets!). Survey customers. Reassure any concerns customers have. Optimize funnel. Done in house, but products like KissMetrics do it for you. Customer surveys, built into the product and built into the website. Sean has also used these strategies at xobni.com, dropbox.com, eventbrite.com, lookout.com, socialcast.com. Sean thinks you should double down on any area that shows potential. Focus on the people that like the software. See if you can improve that and drive even more conversions. Focus on that, not on the “why don’t these people…”. For the types of business above Sean has developed a framework to explain the business. The framework consists of these key points. 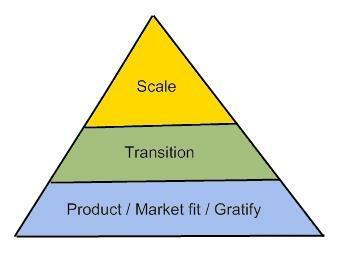 The pyramid describes the stages of the business growth. Product Market Fit – ensure you gratify your customers. Scale – this should only be attempted once the previous two steps are complete. You can validate your ideas about the product by asking your customers this question. “How would you feel if you could no longer use this product?” then categorise the answers according to how many people are very disappointed they cannot use the product. 0..25% Keep burn low, engage, iterate. This is an OK place to be if you are not trying to grow business. To be able to scale the business you need to understand the core value perceived. Focus on value added products. Position the product, based on value to the customer. Realize that at some point A/B testing will distract you from improving other aspects of the business. So A/B is testing is important but do not get obsessed. At some point the effort required to get an extra 1% conversion rate is not worth the return you can get by optimizing some other part of the business. You need to have viable economics before going for growth. Optimise each step of the funnel before growth. Sean’s latest company is not like the other companies he started. Sean wants to try to help businesses working with the freemium model get more exposure. The framework described earlier does not work for this new company because you can only get growth if you have customers but you can only get customers if you have products to promote and you can only get the products to promote if you have customers. 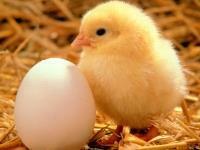 A classic Chicken and Egg problem. Sean describes how he is dealing with this problem. Skeptical users, why is this free? Awkward economics, how to generate revenue from free? Catchfree solves this by providing a place for people to vote on their products. Once you have customers you can provide CPA (cost per acquisition) advertising rather than CPC (cost per click) advertising. The diagram for this business is the reverse of the previous business model. With this model you start with lots of customers and lots of products and only at the end do you find out if the idea works. Its completely backwards compared to the previous model where you can measure, predict, test, change everything up front. The business needs embedded tracking to handle CPA. You need to validate demand before you do anything. You will get either a lot of funding from investors or none at all. You need to define a minimum viable critical mass of customers for the business to work. What is that value? Is it 100?, 1000? 100,000?, etc. If there are not enough customers other customers won’t have a reason to beleive in the business and there will not be enough revenue to make the business work. You need to have really clear rollout goals. 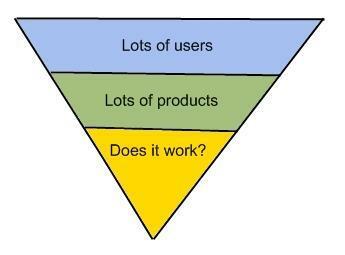 Spend time getting architecture right before launch – due to the number of users required to make the business work this is an important factor. Sean has opted for an agile development environment. Sean recommends targeting the minimum market you can to start. This reduces costs and allows you to optimize the impact for that market. Sean used twitter to target initial market because they match the initial profile for catchfree. You need to generate revenue early on. Catchfree are not spending much to get customers. After launch, you can validate customer gratification. Extend targeting and marketing based on customer validation. Catchfree uses a reverse affiliate model. They give CPA credit to vendors based on customer recommendations. If a customer recommends their product the vendor gets a credit against future CPA costs. This was catchfree don’t have to spend money on credits but vendors do receives something useful (free CPA which they use to increase their exposure). A lot of marketing is done via sharing (viral), tweet and share on facebook. Sean recommends Andrew Chen’s blog. After getting search optimized by working on SEO and SEM the last thing to do is demand generation (adverts not on search engines, ie on TV, radio, magazines, etc). Sean’s final recommendation is when rolling out, always start with the free stuff first then the low cost stuff. Get the maximum impact you can while spending the least you can. After you’ve done free and low cost things can get expensive. Tommorow I’ll be posting Rob Walling’s talk.